You have to plan a large project or a complex process and the question arises as to how doing it by using the resources to full capacity and within the given time frame? The right solution will be a network diagram since it visualizes both the chronology and the logical sequence. 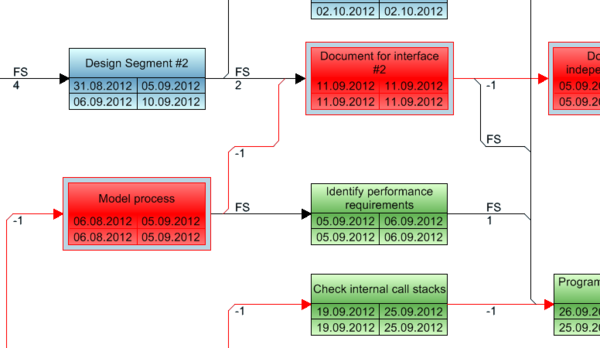 Use VARCHART XNet to visualize the logical succession and the chronology in processes, workflows or projects in a meaningful and easy- to- grasp network charts. Configure the nodes individually and display the relevant activity information in the node or in additional text boxes. The line layout with a minimum of intersections ensures clarity even in extremely cross-linked diagrams. Let your planners take part in the planning by a variety of user interactions. Check out the release notes and manual for further technical information. You want to realize the structure of a project, a product or a company at first glance? In this case, the visualization technique of a graphical tree offers itself as method of choice. Especially when it comes to displaying complex facts, breaking down into singular hierarchy levvels and visualizing them will help making sure that no part (project) has been forgotten. Visualize these sub-projects by Tree Structure charts that help to focus clearly on connections and dependencies of data and facts. Use VARCHART XTree to visualize data with parent-child relations or structure codes in clear-cut tree structures developed. 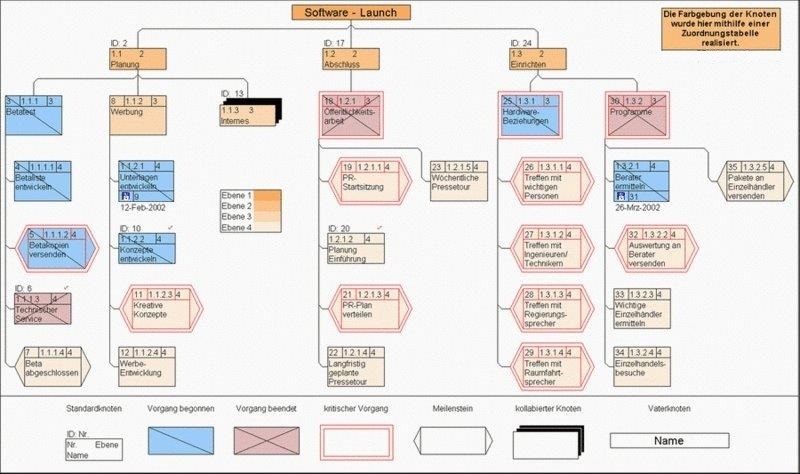 Control your projects, production processes or organizational structures with this charts. Design tree structures that offer a wide range of interactive options to the user: creating, deleting and moving of nodes or subtrees, collapsing and expanding of subtrees and much more. Define the node appearance by maps or filters and create a tree structure that changes data-dependant. Evaluate VARCHART XTree (ActiveX, .NET Edition) now!